My beautiful daugther has turned 18. I can not belive it. 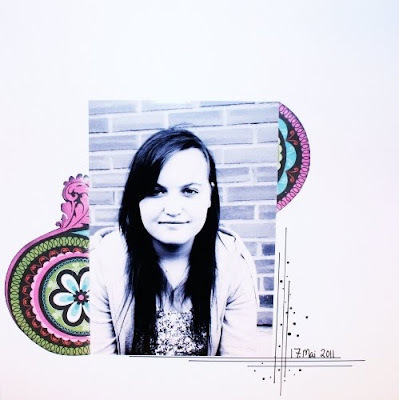 I made this layout last sommer, and the picture was taking in May 2011. A card for a young girl. The daugther of a friend of mine celebrated her 18th birthday in November. I was asked if I could make a card, so here it is. 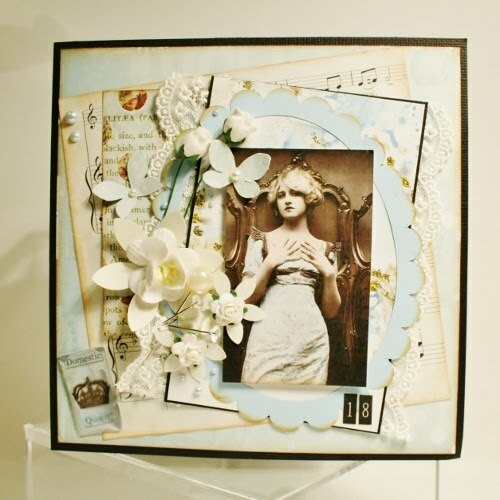 I love that vintage photo with the pale blue colors.